Many years ago, my cousins fell from a two storey house and landed on his back. He was lucky enough to walk away from this workplace incident. To this day he still has ongoing back issues, but fortunately he is still alive and able to walk. Many workers in Australia either lose their life or have severe injuries which prevent them carrying out their normal duties or in some cases they are confined to a wheel chair. The average work day is 8hrs in which 21 workers are injured due to a fall from height!! That’s 2.6/hr!!. 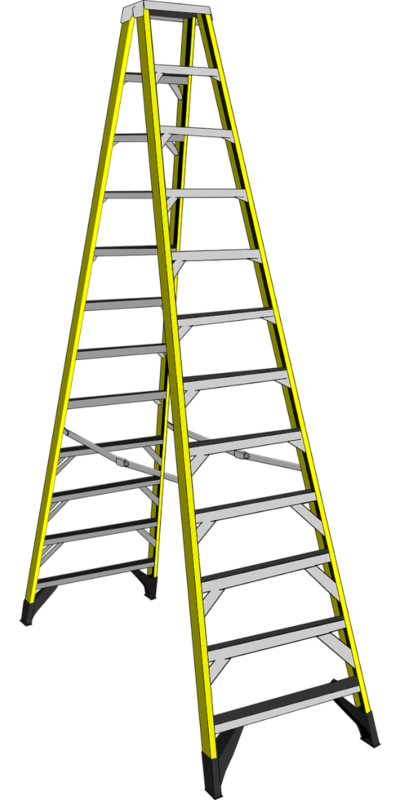 Of the fall from heights injuries/fatalities, ladders as the origin of the fall, makes up approximately 16% with vehicle and roof a close second at 11%. This is why ladder safety is very important in the workplace. Ensure the ladder is the correct height for the job. The ladder should extend approximately 1m past the surface its resting on. Ensure the surface where the ladder is to be placed is dry and the ground is level. If you are placing the ladder on soil, place a hard board under the ladder to ensure the ladder doesn’t sink in the soil. Ensure footwear is well fitting and slip resistant. No sandals or thongs. Ensure you have someone at the base of the ladder while you are using it. Ensure any tools are carried in a tool belt. Ensure you are working within arm’s reach. Do not stretch, move the ladder to get in a better position. In the workplace when working at heights great than 2m, this is considered a high risk work activities and require a safe work method statement (SWMS) to be documented . A SWMS describes the activities to be undertaken, associated risk, resources required and control measures to be applied. If you need help with your ladder safety in your business, or would like to know more please contact me today on 0413917722. At Zero Exposure Solutions we also have formed a number of alliances with suppliers. If you are looking for a product or service that we don’t provide, we can help you find the right one suited to your business.